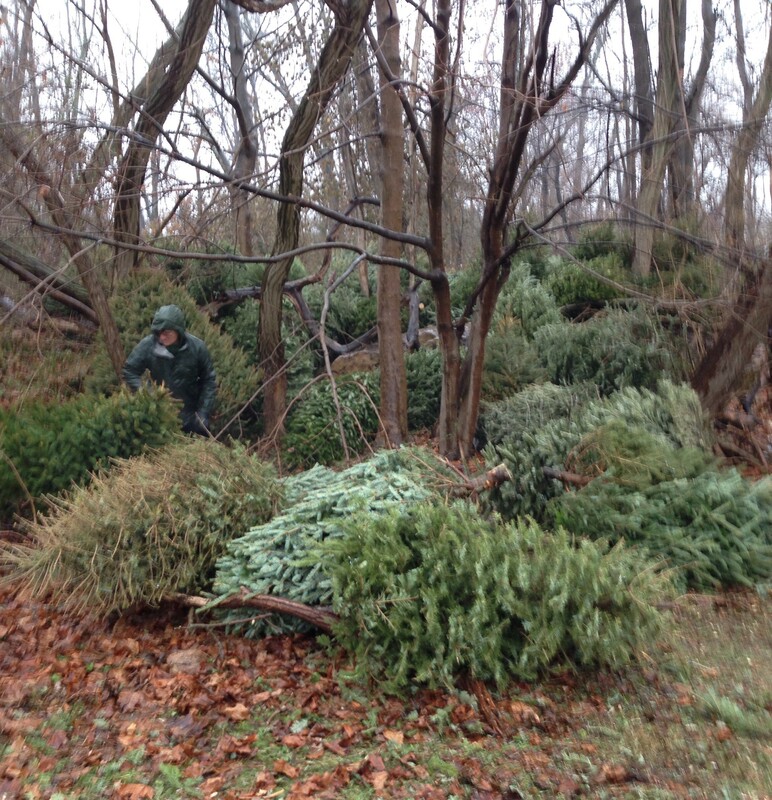 Christmas trees for repurposing at Cove Island Park in Stamford, Ct. Most discarded Christmas trees end up in a landfill somewhere, or if they are lucky, as mulch in a local dump. For the last couple of years, many of the old Christmas trees in Stamford, Connecticut, have been placed by the city in big piles at Cove Island Park. From there, volunteers, led by David Winston (shown below), have moved the trees to places in the park where they can continue to be of value. Last year they were placed to protect the dunes by the beach. This year, despite the icy rain falling, volunteers placed the trees, hundreds of them, in two spots around the park. One spot was in the wildlife sanctuary to more clearly delineate trails. The other spot was in a wooded area that had become cleared and was likely going to be used for purposes not intended in the park. So the volunteers, including myself, filled in that clearing with old Christmas trees. Now that area can be used for birds and other wildlife as shelter and protection. Not a bad way to reuse all those Christmas trees that are enjoyed so much around the holidays, and then placed curbside. Also not a bad way to spend a rainy Sunday morning.